Cornwall Air Ambulance Trust is extremely proud to have HRH The Duchess of Cornwall as its Patron. The Duchess began her role as the first official patron of the charity in 2011 and lends her support to fundraising activities. During a three day tour of Cornwall in July 2012 Her Royal Highness officially opened the charity’s new operations facility and charity headquarters. During her visit the Duchess met with aircrew, volunteers, charity staff, trustees and local dignitaries. She also met airlifted patients Catherine Gardner who was rescued from Crooklets beach after a riding accident and 13 year old Harriet Eastwood who was also airlifted from a beach after being caught in a rip current. 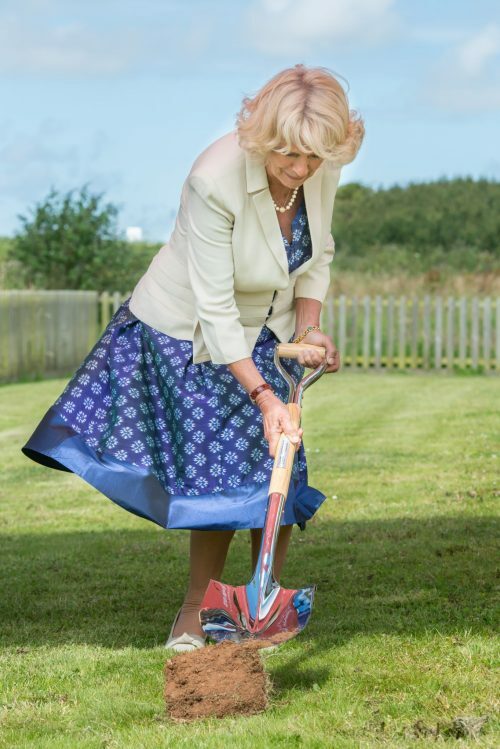 The Duchess visited Cornwall Air Ambulance once again on 22nd July 2015 when she cut the turf for the new fundraising and volunteering centre. The support of the Duchess of Cornwall is a brilliant endorsement for a local charity that has served the Cornish community since 1987.